This weekend I have a houseguest-my granddaughter. She came Friday night and is staying until tomorrow morning. Last night we spent a quiet evening at home watching TV, reading books and singing songs. Going to sleep proved to be a challenge as she has not slept here since New Years Eve. She finally fell asleep but I was awakened when she fell out of bed but luckily I put multiple pillows on the floor so she was not hurt. We woke up this morning and thoughts turned to our big adventure for the day: going to the Carnegie Museum. I had purchased a membership for them for Christmas. My granddaughter was very excited and wanted to see the dinosaurs. I had not been there in many years even though it is not far from my work. We got there and she immediately was fascinated by a gallery of painted rocks. We went through all the colors and shapes of the rocks. It was meant to be an adult exhibit but she was able to enjoy it as well. 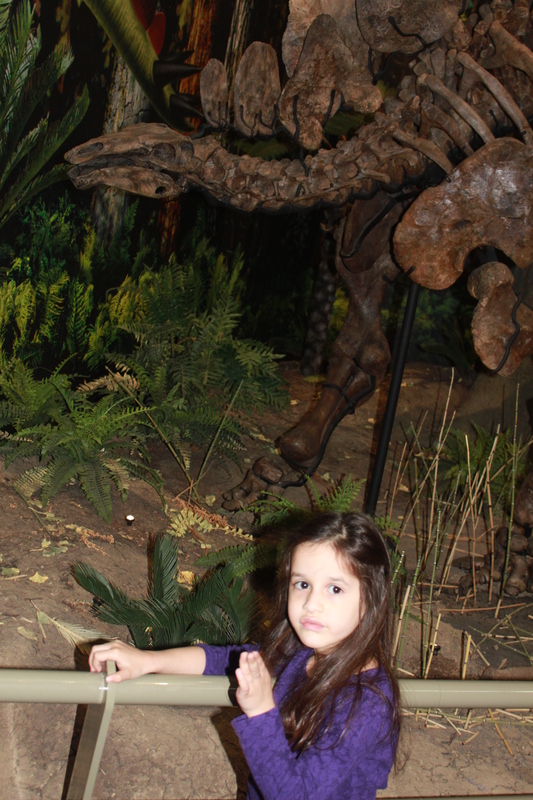 She was totally mesmerized by all the dinosaurs and especially liked the small dinosaurs as well as the T Rex. 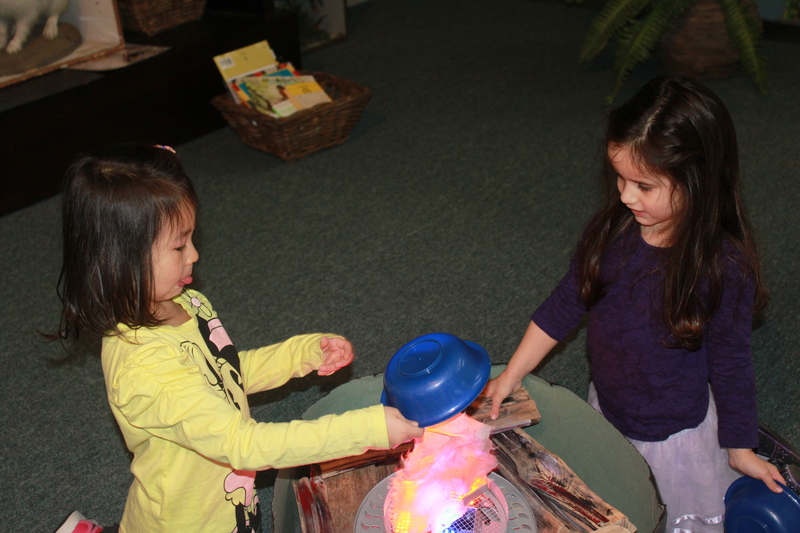 There were dinosaur bones to touch as well as fossils to feel. She stopped and touched them. When she was unsure she would ask me what it was. Thank goodness for the written descriptions under the exhibits. 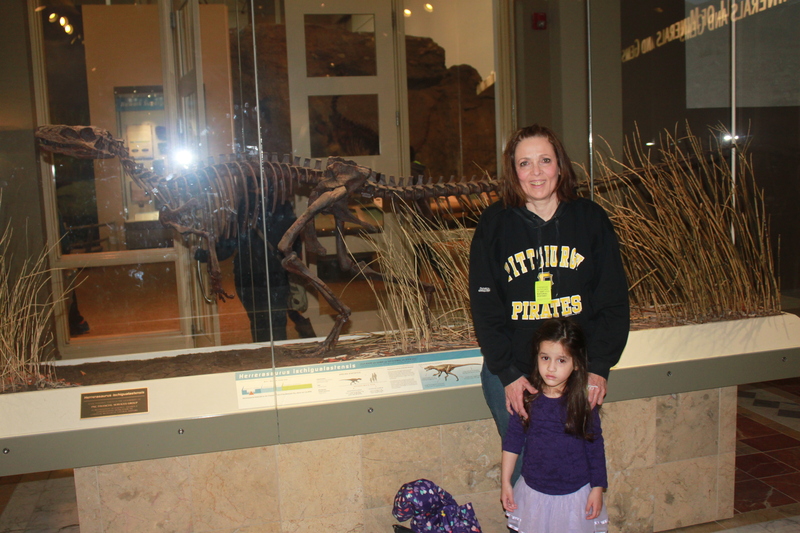 There is so much to see at the Carnegie Museum of Natural History as well as the Museum of Art. She and I will go back as there is so much left to explore. If you live in the Pittsburgh area this is a must see. This truly has been a fun weekend. 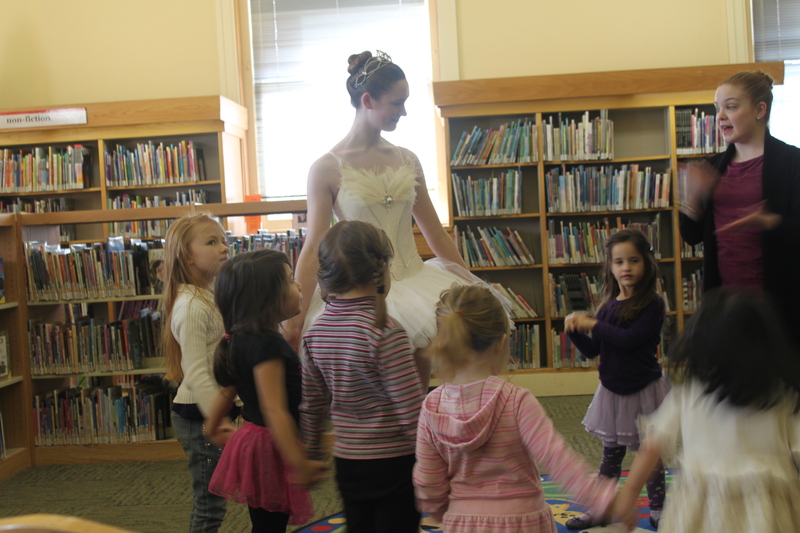 What a fun-filled memory making weekend you and your granddaughter had. Not much can top that! Great post Kathy.Thanks for sharing. Watching the little ones discover the world is like rediscovering it yourself. So glad you had this precious experience! And thank you for sharing it with us!